February. That's certainly going to be a big month in 2010 as the Winter Olympics will take place here in our great nation of Canada (specifically in Vancouver, B.C. - big shout out to my good buddy Sam in VanCity). While the onset of the Olympics is exciting, us gamers are looking beyond the winter games and taking further interest this coming February in the form of video games. That's because February marks the time for some very highly anticipated video game releases. A few of these titles may likely end up being strong contenders for video game of the year. Here's a look at my top 5 picks for the upcoming February games. The original game was a solid 3rd person shooter that took place mostly in snowy environments. There were alot of fantastic looking aliens to shoot at and that in itself was fun. Part deux promises to turn it up a notch with a variety of different environments, new enemies (not just aliens), new equipment/gear and most impressively - an option for 4 player co-op. The co-op feature alone makes this game so appealing...let's just hope Capcom delivers. This is one game that I've been very much looking forward to since its announcement. Developed by EA's Visceral Games studio - the same folks that brought us Dead Space - Dante's Inferno is a 3rd person action adventure game that incorporates some solid looking gameplay and captivating visuals. It also seems to borrow elements from the God of War games, which isn't necessarily a bad thing. Oh, on top of that you deal Death some of his own medicine and then take control of his mighty scythe. 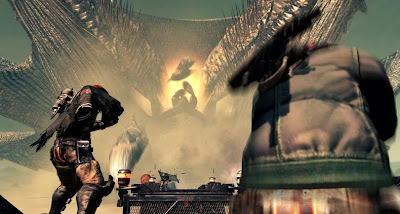 If Dante's destructive path through Hell is close to being as good as what Dead Space had to offer, then you have yourself one very promising game. 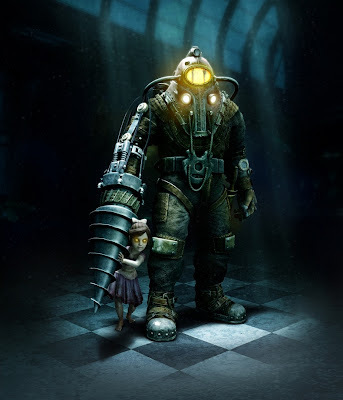 BioShock 2 promises the same rich visuals, solid gameplay and an engaging, yet disturbing storyline. By the way, you...get...to...play...as...a...big...daddy. Enough Said. Yet another game that I've personally been looking forward to. In fact, you can say my patience for this game's release has almost reached its peak. Conviction brings us a darker and more ruthless Sam Fisher on the hunt for those responsible for his daughter's death. Armed with a new array of moves, gameplay mechanics and co-op campaign (prologue to Sam's single player storyline), Splinter Cell: Conviction could quite possibly be the best in the series. 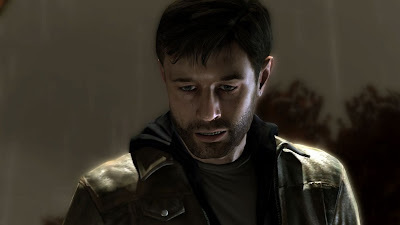 If there's one PS3 exclusive to get excited about this year (aside from God of War III), it's likely Heavy Rain. 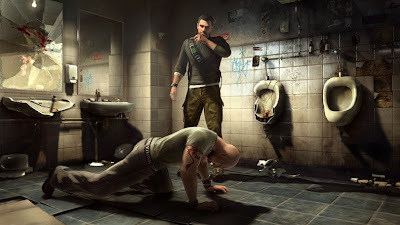 Developed by Quantic Dreams, the team responsible for Indigo Prophecy, Heavy Rain is a game like no other in that the core of the game is the story and how it unfolds based on what actions or decisions you make as you progress. I actually had the opportunity to fiddle with a playable demo of the game this past December and it feels very much like an interactive cinematic experience. It's very different and unique from anything I've played before and that alone has me highly anticipating this game's release. So there are my 5 picks for must have games this February. If the Winter Olympics doesn't do it for ya, then I'm sure one or more of these games will. Hey Anonymous... interesting to see you're planning to get both Dante's Inferno and GoW3. You're not ignoring one because of the existence of the other! Dante's Inferno is definitely my game for February (now that Conviction has been pushed back yet again) and it is a fair compensation for not being able to play God of War!